Version 1.5 with Custom Balls Released! Now it's possible to create your own custom balls. Other major improvements include VR keyboard and bumper rails. Version 1.5 also comes with a lot of smaller fixes and improvements. Version 1.4 with Paradise Island is Out! The sun is shining, waves are gently lapping at the beach and seagulls are singing somewhere in the distance. Oh Yes! This version lets you play in the relaxing atmosphere of a beach bar! What could be better than taking a mini vacation after a heavy day at work and scoring a couple of strikes? Other major changes include more intuitive mouse controls, standing pins display with integrated throw speed and RPM and improved ranking calculation. There's also quite a few smaller improvements and bug fixes. 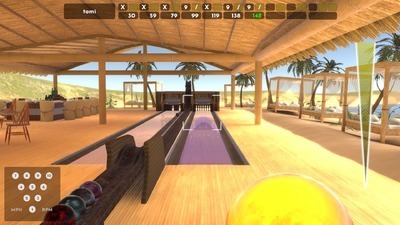 Premium Bowling is a realistic and easy to play bowling game with multiplayer, virtual reality and mouse play support. The game provides a leisurable environment to spend time with friends and other players while enjoying physically realistic ten pin bowling. For competitive players we have real time multiplayer competitions, daily and weekly top lists, long term player ranking and bowling leagues. - More Coming, join us and Stay Tuned! "Really great physics and just figured out today that you can do local multiplayer, which really makes this a great party game. It feels like real bowling and i'm just so happy that we have this on vr." "I have been looking for a realistic bowling game in VR for a couple years now and I have finally found it." "This is the best bowling simulation I have played. It is just great fun, alone or with friends online." "If you like bowling and own a vr headset this is a no brainer." 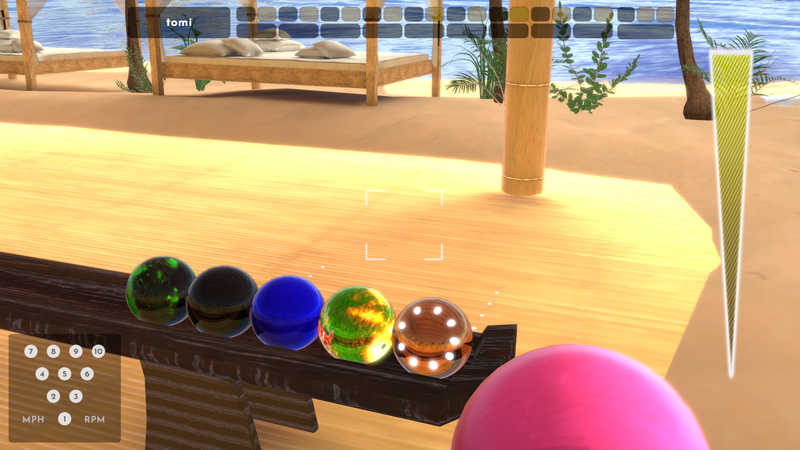 "This game is the closest I think you can get to real bowling physics without physically throwing a bowling ball. A must buy for someone who enjoys bowling." "This is the real deal. We need to get visibility on this publisher as fast as possible, because they actually know how to create a realistic experience with real physics." "This game is weirdly realistic, and is hard to master, but easy to learn, just like real life bowling." "It absolutely meets all expectations. The hooking physics are amazing and you can pick different hooking balls and you can also change the oil pattern. The reactions are different on any of the setups you choose and that's how it is for regular bowling." "It's to VR bowling as ------ ----- ------ is to VR ping pong. Physics and movements are spot on, you guys nailed it." "Theres nothing else to say but that this is just the best game out there." "Out of all the VR bowling games I've played this is the first that actually gets it right." Copyright 2019 Sadetta Oy. All Rights Reserved.